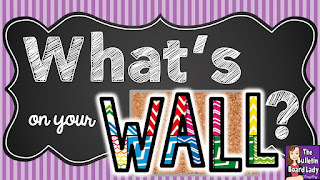 I'm really excited to link up with Tracy King from Mrs. King Rocks to blog about what's on my wall and in my classroom! 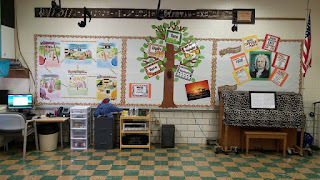 Here is a view of the first part of my classroom; I chose a jungle theme for my classroom this year! I'm really, really lucky to have a fairly large space in my classroom. I have been in other situations, with itty-bitty rooms, and appreciate the large space I now have! I like to label all of my drawers to I remember what's in them...I have so many that otherwise I'd forget! The bins you see on the left of the picture are used for my grade-level materials; you can read a post about that here. Here is a close-up of my word wall. I decided this year to try a word wall by grade (suggested by my friend Nyssa Brown, who is a phenomenal educator; check out her blog here). I've been putting up the words as we learn them instead of having them listed alphabetically. You can purchase my jungle-themed set, which includes my word wall, here. The recorder printables are a fun way to internalize concepts and skills for recorder; you can purchase them from Teaching in Tune here. 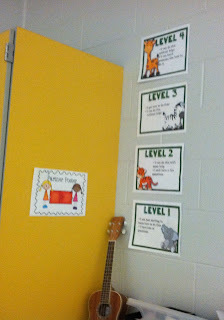 My levels of understanding posters help students assess their own learning; they are included in my jungle-themed set. The idea of the partner poster is that students can go to the poster if they can't find a partner, and then solve the problem of no partner by partnering up with someone there! You can download it for free here. I have to admit...this is a Pinterest-inspired idea! I took zebra-patterned duct tape and applied to my file cabinet! Easy and cute! The three chairs are my time-out chair, the ready chair students can go to after they have thought about their choices, and my special chair students sometimes get as a reward after they are a star student. One of their favorite rewards to sit in this chair during music class! Here is my "Wild about Beethoven" bulletin board. I am doing composer of the month this year (using this set) and am using the bulletin board to teach students about composers each month! (And I have to say, I was VERY excited when I realized I had a cartridge for my Cricut with Beethoven's signature!!!) You can find this bulletin board (minus the Cricut letters) in this set as well as the growing bundle. Here is another bulletin board, called "Bananas about music"! You can find it in my jungle-themed set. 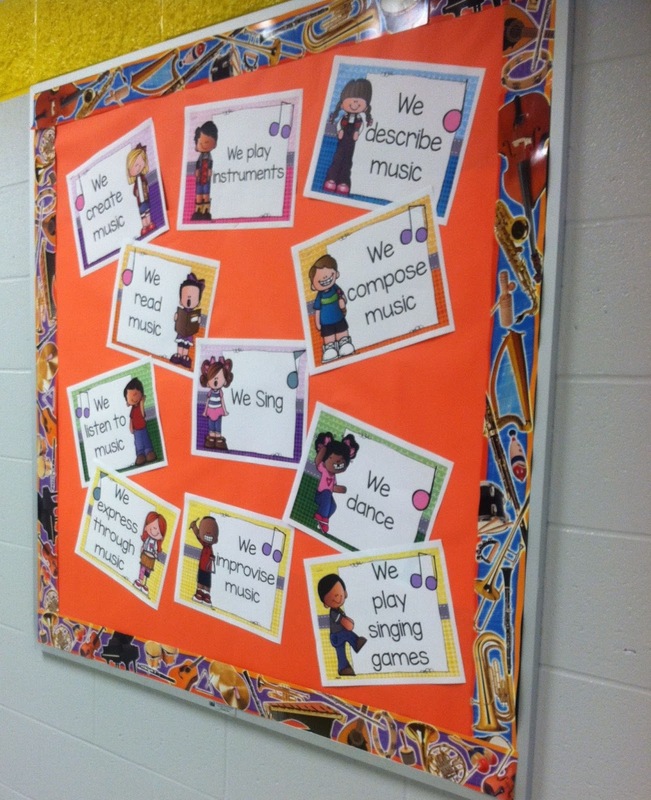 And here is my last bulletin board, in the hallway; it is from Amy Abbott's "We are the music makers" set; I love how bright and colorful it is! I got the idea for my mallet jars from two sources: the ribbons around the mason jars from Pinterest, and the mallets in the jars from my former colleague Clinton. I love how organized the mallets are instead of just shoved into a drawer, and the jars were super easy to decorate! Of course, the idea could be applied to any theme! I have these instrument rules posters by Cori Bloom posted by my Orff instruments. Love the idea of having rules just for the Orff instruments! These bookcases are new for me this year. I needed a place to store my interactive journals (and please, ignore the fact that unfinished wood is on top. I'm not the best at putting things together...and these were actually supposed to be twice as tall!) The magazine files can be found here at IKEA; here is my 3rd grade interactive journal and my 4th grade interactive journal (I'll be blogging more about using those in my classroom soon!) I found the notebooks at Target for 17 cents each...woo hoo! I just posted this on my wall...love it! I have added woodwind, strings, percussion, and brass visuals to my jungle-themed set; if you've already purchased, you can re-download under "my purchases"! Here is a view of the area students face as I am teaching. I have my agenda (templates can be found here), with my "I can" statements, posted on my SMART board. My hand signs are posted to the left of my board, and my musical symbol wall is posted to the left of the hand signs. 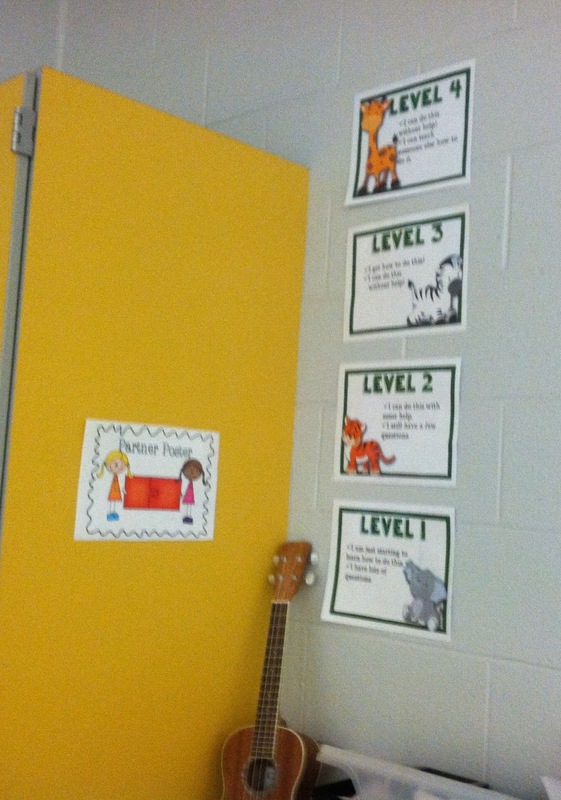 I find the symbol wall a great way for students to apply what they've learned from me to the "real" musical names! My rules, the symbol visuals, and the hand signs are included in my jungle-themed set. I was inspired to get this tree (from my local teacher store) from a customer named Dana who bought a very similar tree and posted one of my bulletin board sets in the branches. 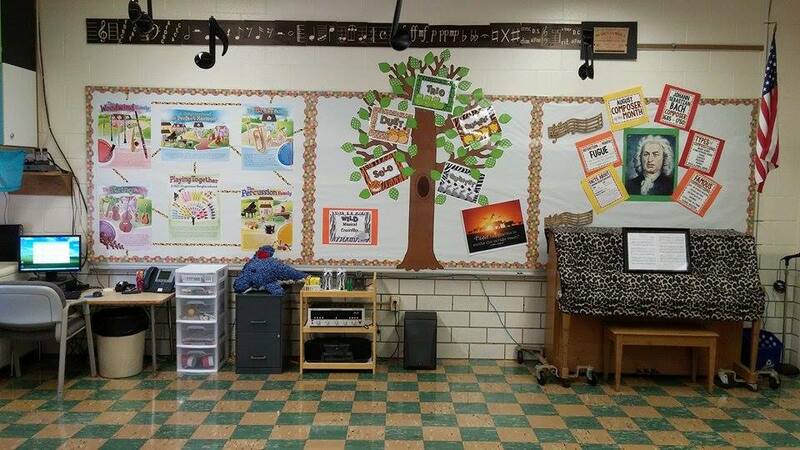 Here is her pic of her classroom...beautiful! I loved the idea, but instead of posting the bulletin board set, I'm having some of my star students put their names on the leaves. The containers to the left of the tree are for the fourth graders' recorders. I would use this staff board for writing on the staff...but it is behind the students, and I have a SMART board, so instead I use it for restroom numbers and classroom jobs! 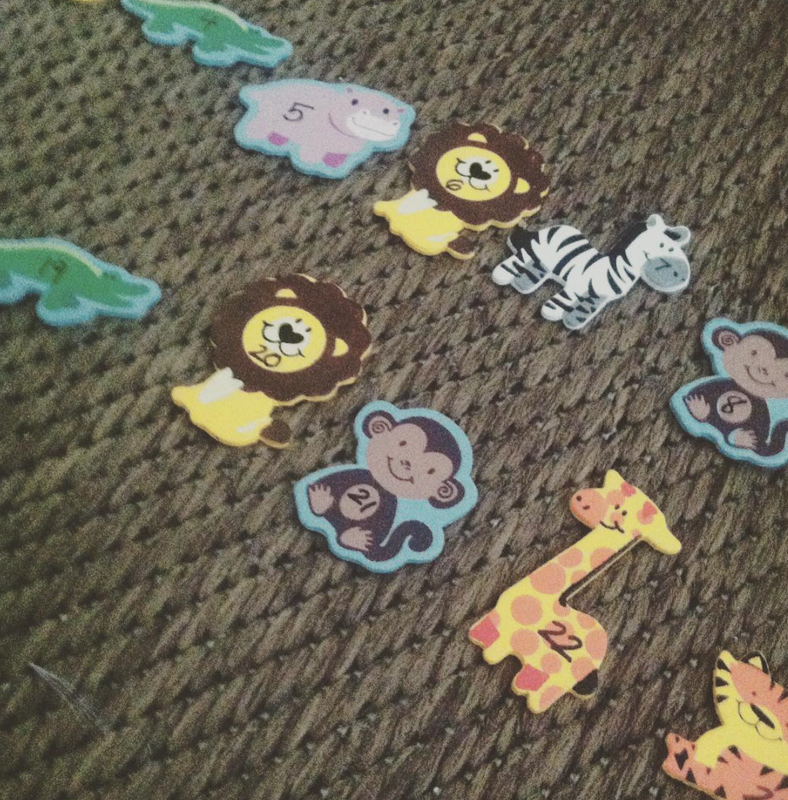 The area to the right has jungle animal magnets that students can move when they go to the restroom or the nurse (see the post I wrote about that process here); the second picture is a close-up of the animals, which I bought at Michael's. My classroom jobs help me assign students jobs for each month and make my classroom more efficient; you can see my set here. Here's another view with my new zebra lanterns up! Here is a picture of my bookcase; the labels help me as I'm looking for resources! 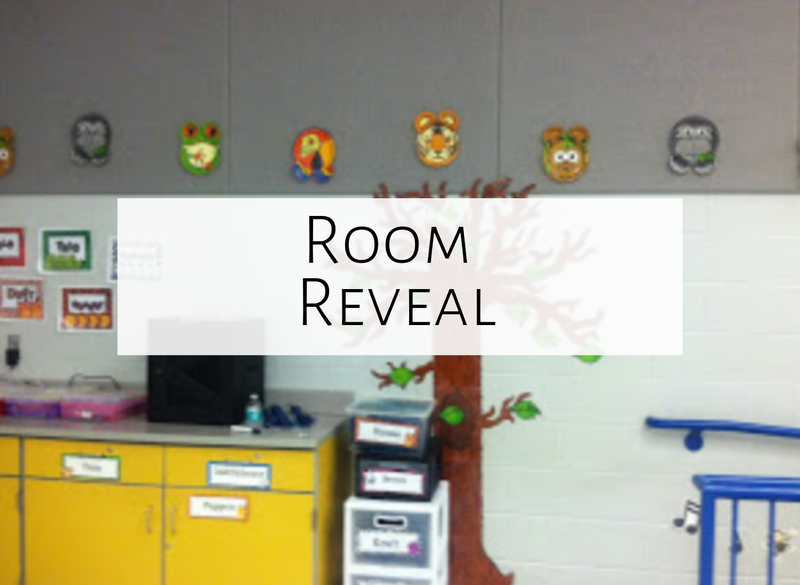 I had fun decorating AND revealing my classroom! 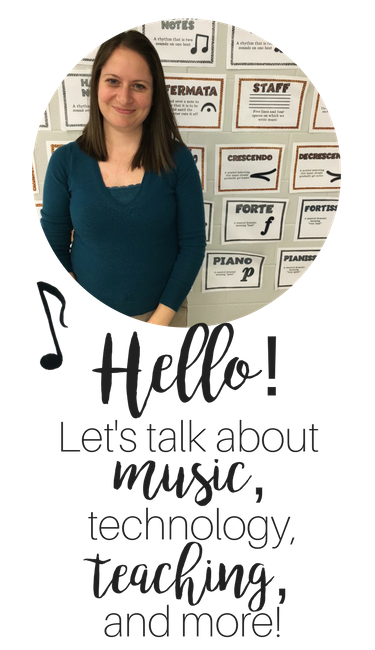 Click on any of the pictures below to either see blog posts by other music bloggers with what's on their walls, or to see sets that you can decorate your classroom with! Have fun! And feel free to comment below with what's on your wall! This is such a FUN theme! I think I would probably have gone crazy collecting jungle themed things this summer. LOL. It looks great! I hope you have a great school year. Thanks for linking up! Students have selected different themes to decorate the walls of their classroom,I have selected the jungle theme but its not final.Most inspiring theme will be finalized by the teacher to decorate the walls of classroom. Further, students can get help from assignment writing service as well.